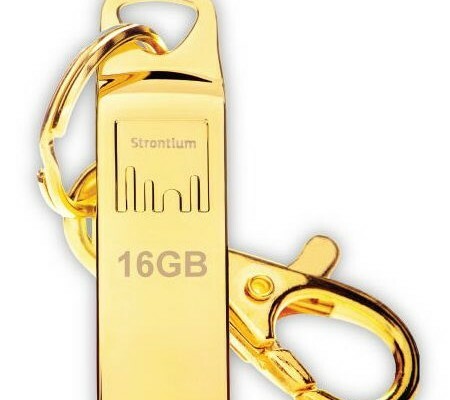 Strontium Technology – one of the world leaders in the manufacture of devices on the flash memory – start retail sales of USB-stick model Ammo. Ammo available in two versions: the first was the body of metal, polished “under silver”, and the second version boasts a coating of real gold of 24 carats. Drives are small dimensions (41.8 x 11.2 x 3.4 mm) and light weight of 6 grams. New flash is available in three variants of 16, 32, 64 GB. USB-drives Ammo line based on high-quality NAND flash memory, have USB 3.0 support interface, providing maximum reliability and sustained data transfer rate. The drives have a read rate of up to 25MB / s and write – 5 MB / s. Claimed MTBF of 500,000 hours, new items designed for 50,000 cycles recording information. In this case, drives are capable of storing recorded data for over 10 years. Discs are compatible with the operating systems Windows, Mac OS X, Linux, etc. 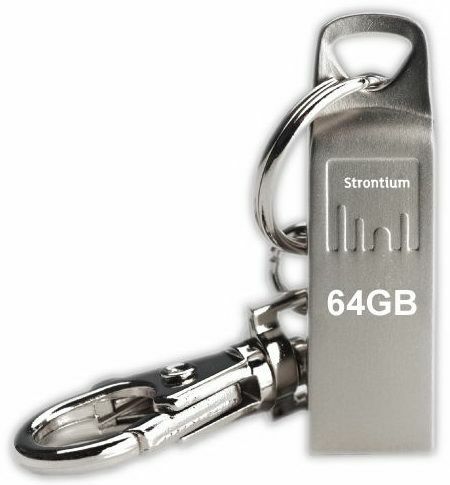 Special carbine supplied, allows you to use USB-drive as a key ring and prevent accidental loss of the device. The cost of Ammo starts with a mark of $ 16. The product Strontium Technology is given a five-year guarantee.